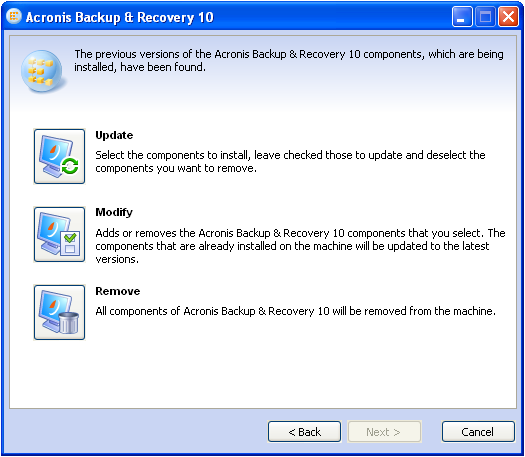 6612: Acronis Backup & Recovery 10: An Attempt to Update Acronis Agent for Windows from MSI File Errors Out with "Another version of this product is already installed"
use Add/Remove Programs on the Control Panel. In order for the MSI file to perform an update, the MSI file has to be launched with the re-install parameter. This is described in the section below. (!) You can download the main EXE package from your account, please see Downloading an Installation File of Acronis Software. 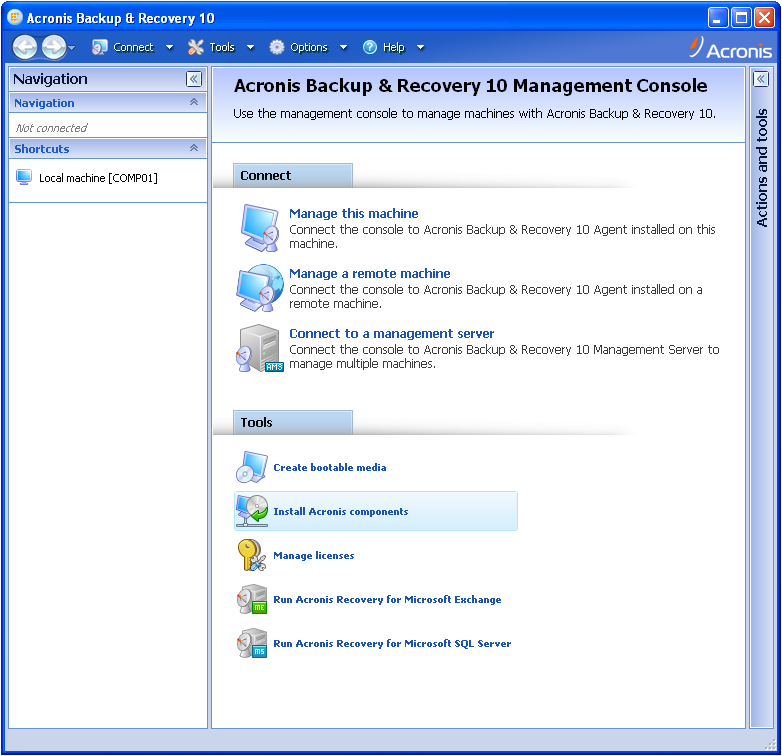 Additionally, the Acronis Agent can be updated by creating a transformation file and deploying the update via a Group policy. Please see the user guide for a detailed description.